Whether creating cards and other projects for happy occasions or tough situations in life, we've got several products to show you today, that should help make the process both enjoyable and beautiful. 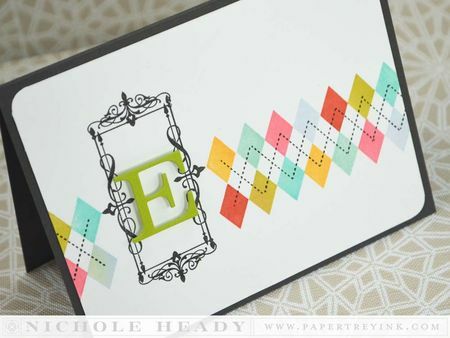 Dawn McVey finishes up her Boutique Borders series with a real beauty! Boutique Borders: Friends is the twelfth set in a monthly series of gorgeous frame images and classic sentiments with beautiful font combinations as well as coordinating dies. Each month features a new frame image as well as a new sentiment theme. Use the frames with the Boutique Borders sentiments or use them with any number of sentiments and images from your own stamp collection! The Boutique Borders series is so versatile you’ll want to collect them all….you’re sure to find yourself reaching for these again and again! Boutique Borders: Friends will be available for purchase on January 15th. Boutique Borders: Friends contains a total of 5 images. The frame image measures 2-7/8” x 1-1/2”. The “So glad we’re friends…” sentiment measures 1-11/16” x 9/16”. 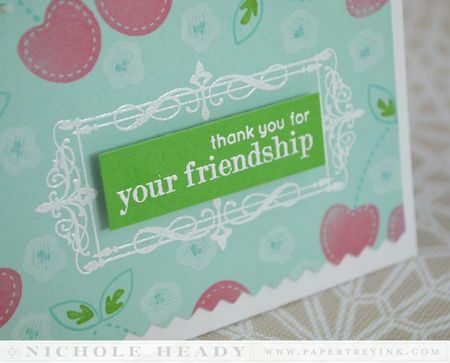 The “my dear friend…” sentiment measures 1-3/4” x 3/8”. A coordinating die will be available for sale separately, retailing for $4. This die measures 3" x 1-5/8". There are times when it's difficult to know just what to say and Lizzie Jones has the perfect solution for you. Words Of Comfort is here to help you convey how much you care in those challenging moments. This set is appropriate for cards dealing with a loss, an illness, or personal hardship. The sentiments in this set can be combined or used on the inside of your card to create the just the right message. Words Of Comfort will be available for purchase on January 15th. Words Of Comfort contains a total of 17 images. The "I am here for you" sentiment measures approximately 3/8" tall x 1 3/8" wide. The "Extending deep and heartfelt sympathy…" sentiment measures approximately 3/8" tall x 2 5/8" wide. The "and thinking of you at this sad time" sentiment measures approximately 1/8" tall x 3 1/4" wide. Tiffany Pastor has designed a set takes a crafter’s love for music to a whole new level. These distressed musical notes can be used on cards, scrapbooking pages, home décor, or other craft projects. Life's Music will be available for purchase on January 15th. Life's Music contains a total of 9 images. The musical background image measures 4 ½ inches wide by 2 inches tall. The music sentiment measures 2 inches wide by 3/4 inches tall. Framed Friends die will be available for purchase on January 15th. It will retail for $10. Framed Friends die measures 5-1/4" x 3". For my first card I decided to pull out Fruit Fusion: Cherries to create some sweet background paper. Aqua Mist is used as the base. I started with the stems stamped in Hawaiian Shores, then the cherries in Berry Sorbet. I used a tiny leaf image from Mini Blooms to use as a shading element for the leaves, stamped in New Leaf. I also used a flower from Mini Blooms in Fresh Snow as well as the tiny dotted center in Hawaiian Shores. The elegant Boutique Borders: Friends frame was heat embossed with White Filigree Embossing Powder. The sentiment was added to a block of New Leaf cardstock and embossed as well. I tied New Leaf Baker's Twine around the top edge of the card and finished it with a bow. The bottom edge of the patterned background was trimmed with pinking shears. Up next, a colorful monogrammed card. I began by stamping the frame from Boutique Borders in True Black. I drew two pencil lines to use a guide for stamping the diamonds. I used several colors to make it bright and cheerful. Note that the colors used are actually *organized chaos*. The bottom row is stamped in the same color order as the top row, just shifted over to begin with a different color. I added the black stitching images over the diamonds in True Black. I die-cut the Bookprint Upper monogram from Simply Chartreuse cardstock and adhered it with a few small pieces of foam tape. A Smokey Shadow card base was used to help bring emphasis to the black frame that was used on the cover. I almost always seem to start stamping florals from the bottom or side of a card front, and I decided to mix things up with this card and start from the top. I pulled out Floral Frenzy and stamped the stems first in Royal Velvet. The flowers were added in Raspberry Fizz followed by the flower centers. The leaves (from Mum's the Word) were stamped in Ripe Avocado. This sentiment from Words of Comfort is the perfect way to convey your feelings when someone has suffered a loss. I die-cut Stitching Lines on the diagonal and used a double strand of crochet thread to add my stitching. Everything was adhered to a Royal Velvet card base. Now for another Words of Comfort card to show someone that you will be there for them always. The Classic Kraft card base was stamped with Background Basics: Super Stripes and Fresh Snow ink to begin. Soft Stone was used for the card front. I started with Turning a New Leaf and added the vines in Ripe Avocado. The smallest flower from Sending You was added in Scarlet Jewel. Ocean Tides was used for the flower centers. I heat embossed the sentiments on the card cover itself and a strip of Ocean Tides. I love how the white stands out on the Soft stone cardstock. 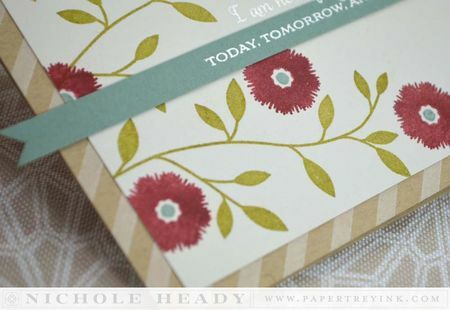 This quick and easy notecard could be made in a large variety of different color schemes to suit your recipient. The stripes were added from Faux Ribbon in Limeade Ice, Summer Sunrise, Orange Zest, Berry Sorbet and Melon Berry. The sentiment, from Think Big Favorites #22, was added at the bottom of the stripes with True Black ink. I also added the slightly distressed music notes from Life's Music. After the ink dried for a minute or two, I added glossy accents on top of the the notes to add dimension. I adhered the card front to a Smokay Shadow card base to help add the third element of black for my rule of threes (music notes, sentiment, card base). Sometimes you get in a situation where you have to walk out the door in 15 minutes for a birthday party and you don't have a single card made up in advance in your studio. You need something quick and easy to whip up. Keep this card on file for the next time you're in that situation! I stamped the balloons from Birthday Style in New Leaf, Summer Sunrise and Orange Zest. The ballon strings were added in Charcoal Palette ink. The music background strip from Life's Music was added on the diagonal underneath the balloons in Soft Stone. As a finishing touch this Simple Sentiments verse finishes the bottom in True Black. I opted to use a Limeade Ice card base just to bring in another element of color. The fun thing about this design? You can always swap out the colors to coordinate with the party you are attending or even the recipients favorite colors. I hope you have enjoyed all the creations that I have shared with you today! Was there a certain product or project that jumped out at you? Did anything leave you feeling particularly inspired? We would love to hear your initial thoughts on everything we introduced! Please leave a comment on this post to tell us what you think of the new products and you will be eligible to win big! You have until 7am EST, January 13th to leave your comment and be eligible to win. Only one comment per person please. One randomly selected winner will be announced on our January Release Winners Page before noon EST the same day. Thank you for stopping by today and best of luck with the contest! Dawn McVey will be featuring Boutique Borders: Friends . Melissa Phillips will be showcasing Words of Comfort. Cristina Kowalczyk will be highlighting Life's Music. Heather Nichols will be featuring the new Framed Friends die and Wonderful Words: Friends. CLICK HERE to see more from Lizzie Jones. 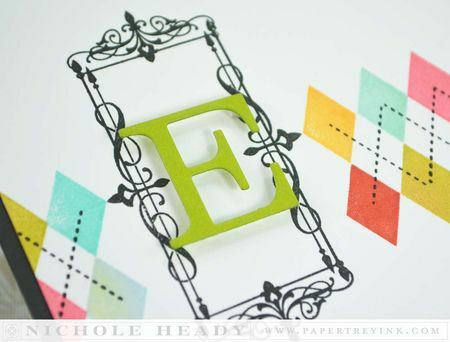 CLICK HERE to see more from Tiffany Pastor, who is giving away a stamp set today! FINISHED SIZE: 4-1/4" x 5-1/2"
Ahhhhhh very excited for the music stamps and the last of the boutique borders. Music notes – I’m stoked! I am so excited about this release! Beautiful sets. I especially love the sentiments for Words of Comfort! Dawn’s latest BB set is beautiful! Sadly, I have the need for sympathy and “words of comfort” cards more and more often now. I’ll be happy to have some new sentiments to use! Can’t wait to see more peeks of the ‘Life’s Music’ set – fab cards today! LOVE the Friends frame die!!!! The words of comfort is great, loved the framed friends. Love the music notes !!! The frame looks elegant too!! I can’t wait to purchase these new stamp sets. A good reason to get back in my craft room ! Love the music motifs and the words of comfort. Very nice. Love the music theme and the friends frame! Gorgeous! Such pretty cards all!! Love the color combinations you chose. So many gorgeous cards! Love the words of comfort. The sympathy sentiments are beautiful! I like the looks of the music set and words of comfort will be very useful. Love all these new releases – oh, for very deep pockets! Don’t want to have to choose – perhaps I’ll be a prize winner??? Gorgeous projects as always! That frame is so pretty! Love all the projects here; thanks for the inspiration. I’m anxious to see the full sets for Life’s Music and Words of Comfort. Great release! Looking forward to getting Words of Comfort. I need some fresh sentiments! Ooooo, I really like the new Boutique Borders frame! Just the right amount of ornate-ness (is that a word?)! Wonderfully done! Very simple looking with a huge impact. Words of Comfort is what I seem to need the most now and really like how the card Down is put together. Thanks and I hope I win. I can’t wait to see the rest of Words of Comfort… And I love the new Boutique borders frame. Oh my goodness, I love how you did the Stitched Sympathy card! It’s just beautiful! Great cards today. Thank you. The new music set is a great addition, so many people I send cards to love music. Can’t wait to see the full reveal as always the DT leaves you wanting to see MORE!! What an elegant Boutique Borders set! I love the music set and can never find the right sentiment for sympathy cards. Looks like a great month! So many great cards today! I really love the monogrammed argyle card and I like how you did the stitching diagonally on the sympathy card. I also really like the way you did the birthday card so simply, but yet made it look so perfectly finished! 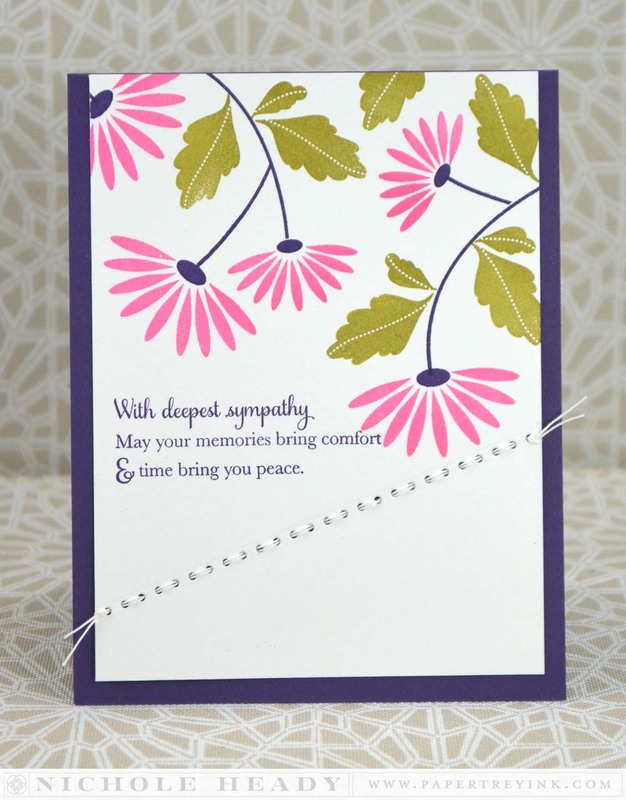 Oooo – I love the Soft Stone card front on the sympathy card. Gorgeous work! Your balloon card is my favorite today! Another great day of projects! I think this Boutique Borders is my favorite of the whole collection!!! So many gorgeous cards! Ready for release so I can shop!! PTI never ceases to amaze me! What beautiful creations and lovely new product! Thanks for the chance to win! I really like your fruit fusion cherry background! It helps to see other ways to use our stamps! Love everything so far! Can’t wait to see more!! Framed Friends looks wonderful and I can’t wait to see all of the sayings in Words of Comfort. Loving the Words of Comfort set, and it will fill a void in my stamps! All the projects are beautiful today! I like the frames and the musical theme. I love the Words of Comfort set. I’ve been making lot of sympathy cards lately and these sentiments are beautiful. Adore the music notes! Lots of uses for those around here. Gorgeous examples of the newest additions to PTI! Love Boutique Borders! Beautiful projects. Words of comfort looks like a good sentiment set. LOVE, LOVE, LOVE these card! 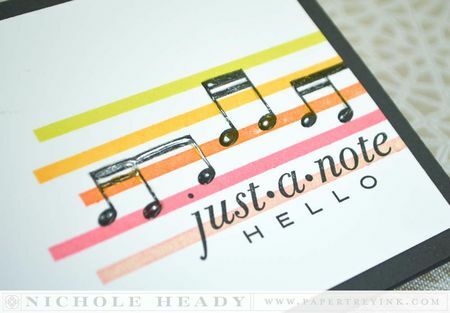 Love Life’s Music and your “just a note” card is so so clever! Great projects this morning. Fabulous projects, Nichole! I’m most excited about the Life’s Music set…. I love the Words of Comfort. Can’t wait to see more. I struggle making sympathy cards. I love boutique borders and the DT projects gave me new ideas thanks! Love the balloon card! So simple and classic. 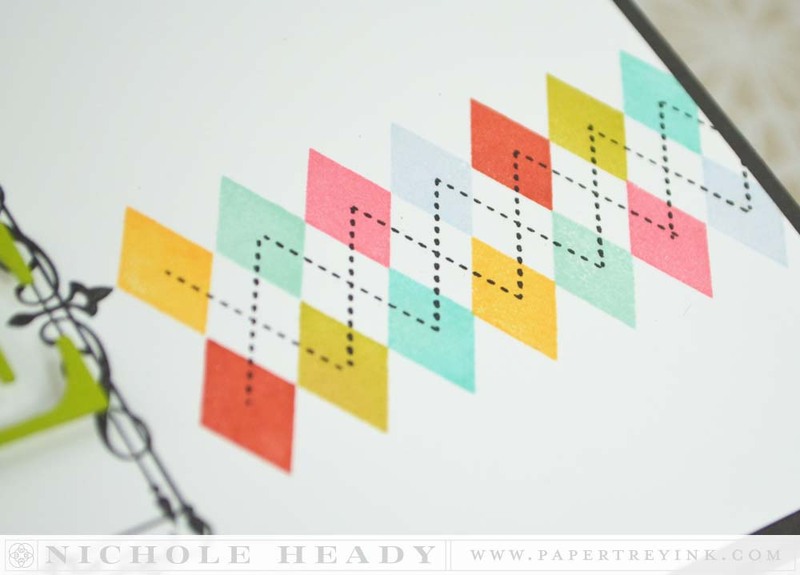 My fave project is the colorful argyle card…awesome stuff! Love the music notes. I know just the person who will be receiving my first card with them. So much gorgeousness! 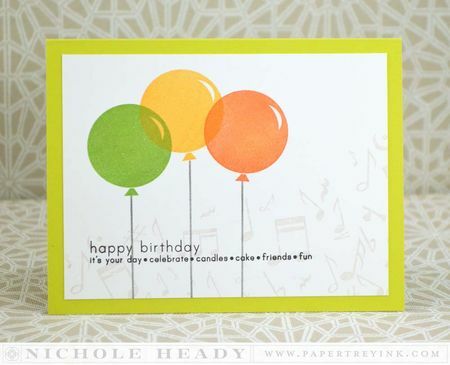 The argyle monogram card is so bright and cheery and I love the subtle music notes on the balloon card! Love the new Words of Comfort and Life’s Music, just what I needed to add to my collection! Fabulous new sets. Especially love Words of Comfort and the music note sets! Awesome sample projects! lovely cards! i LOVE your frames words dies! Love the music motifs and the friends frame. I like the just a note card very much. Another lovely reveal. I especially like what I’ve seen of Words of Comfort. I really like Nicole’s cards today that include past stamps with the new releases. Just when I think I don’t need any more sympathy stamps – you come up with the fabulous Words of Comfort. AND music too!! What a great release! Love the look of the kraft with white stripes, might give that a try. The monogram card is so cheerful, but elegant at the same time. Love it! Great new products being adding to the fabulous PTI lineup! Words of comfort and the music notes will be a great addition to my stamp collection. Thanks for all the card ideas. I love all of the variety in everything you all have shown today. The frame is beautiful and I love the words of comfort set a lot. So much good stuff with this month’s release. Another great new release. Wonderful projects. Absolutely LOVE Dawn’s Boutique Borders: Friends. I have the entire collection thus far, this one is a must have as well. Words of Comfort by Lizzie is one that we all need, even though we do not always want to make these types of cards. Lizzie’s “Words of Comfort” are fabulous. I don’t need too many more sentiments, but this is one set I will be getting. Also, I continue to be amazed at the variations that can be achieved with Erin’s background set. I’m looking forward to the reveal. Love the words of comfort set, such lovely sentiments. The musical stamps are so versatile too. Gorgeous cards to inspire us!!! Loving the Words of Comfort and Boutique Borders, is this really number twelve? Great way to jump start a new year with another great release. I love the musical notes!! Great samples. Just love the balloons! Love your cards – they always do me in, lol! Can’t wait for the full reveals! Beautiful release with stunning showcases by the DT…elegant, sophisticated, fun!! I am really loving the Life’s Music set! Music is a very important part of our life and I can see endless possibilities with it! My card group does sympathy cards every year and I never seem to have a good sentiment, so Words of Comfort is on my list! Sadly I’ve needed to make a lot of “comfort” cards this past year, so these are much needed. Love the framed friends! Such beautiful cards! Such sweet and meaningful cards today. I love all the soft and warm elements. 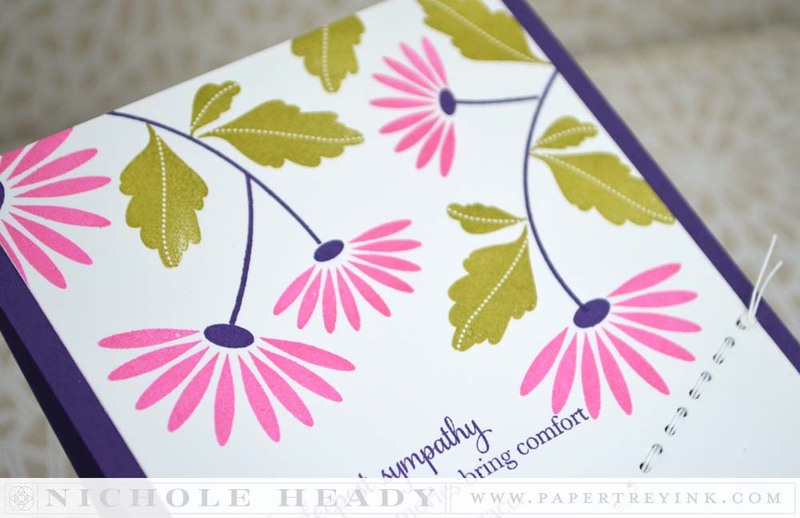 Words of Comfort is definitely on my list – beautiful sentiments and the cards are all so gorgeous! Love the framed friends die, and Words of comfort. Once again, love seeing your projects today! All of your stamps are great! I just want everything but I have to pace myself!!!! Your team does a great job of brining those stamps to life with the cards they make!!!! What wonderful products. The Words of Comfort hits the mark and will be a set that you will use on those occasions when you don’t have the words to say. This is a great release so far. This is the first time in years that I’ve seen you embrace Papertrey Ink’s philosophy of “simple style and endless possibilities.” It was very refreshing and your cards are outstanding. I love that every single one of your cards could be CASEd right now even without the new products. It would be nice to see that monthly of you, and the design team, breaking out the older stamp sets breathing new life into them rather than letting them collect dust. I rarely comment, but today’s inspiration deserved to be applauded. Loving the new Words of Comfort set, and the Music Notes too! The samples from all are delightful and inspire me to get to the craft table…..! 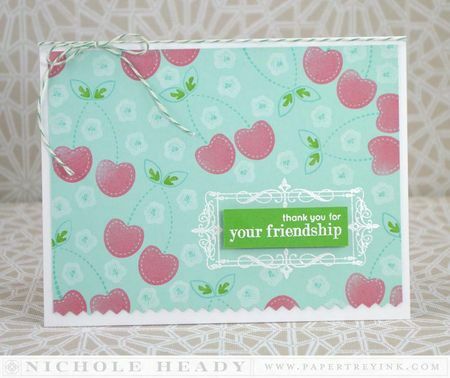 I’m loving all your cards today Nichole and definitely want to case a few. Love the boutique borders. and words of comfort. Thanks for the chance to win. I just love the designs today and can’t wait to see more! Gorgeous, I love the Life’s Music set! Great projects! I am loving the new release this month. It is fun and fabulous! 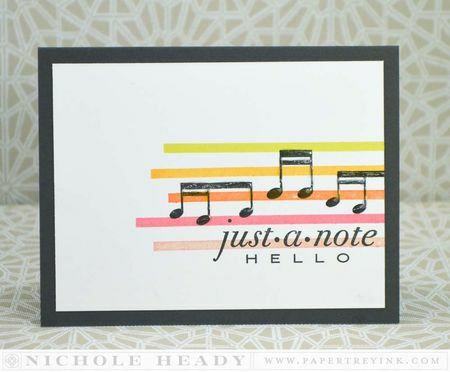 Love the music notes–cant wait to see the entire set. Love the words of comfort. Will need them for sure. Such pretty samples. Musical notes are great! The music set looks fabulous … love the cards you and Cristina did! Every month I shake my head in awe of your designs … thanks so much for the creative push! Love the new boutique border, the frame is so beautiful! Looking forward to this release. And, yes, I need Words of Comfort as well. I love absolutely everything shown today – the design team never ceases to amaze me with their creativity. Life´s music is a must have. It is so versatile. OOOOH! Can’t wait to see more with the music. Very inspired today seeing older stamps used with new sentiments (Floral Frenzy is one of my absolute favorites! )and seeing older sentiments & dies used with new images: how can I have forgotten my Filigree & Victorian Lace border dies? You and the design team inspire us with the versatility of all things PTI – I love, love, love this aspect; it is one of the MANY reasons I shop at PTI. The new stamps are great. Well done PTI designers! Love the flowers done from the top down card, too. Gorgeous new images! I really like the new boutique borders and the top down floral stamped sympathy card. It’s so nice to see some of the older set combined with the new – makes me want to get them all out and play! I know I will love having the Words of Comfort set – such caring sentiments! I’m anxious to see Words of Comfort. Sympathy cards are not easy to make. Maybe the sentiments will be inspiring for me! Words of Comfort is much needed and the music set seems to be quite nice too. I can’t wait until the release because seeing the sets in their entirety will really make up my mind. The boutique borders are gorgeous! Must have! Words of Comfort looks to be a staple set for all of us…will be perfect for those times when you just don’t have words, but want to share your sympathy anyhow. I like the Framed Friends die and think I will like the Words of Comfort from the beautiful samples and that will be especially useful to me. I just love the framed words..
Beautiful cards and the Framed Friends die is outstanding. Love this release set. So beautiful! Wonderful ideas from today’s releases (I’m particularly partial to all the brightly colored samples!) Comfort words will be very handy (sad but true). And I love what you did with the music notes! I sure like that framed friends die. All the other samples are really great too. Keep up the good work, Ladies! The balloons card and the sympathy card are going into my save file – can’t wait for the stamps and dies to be released………..
Love the flowers stamped from the top on the sympathy card. BEAUTIFUL cards. I really LOVE the Words of Comfort card. I need to try putting flowers at the top, too! The Framed Friends die looks awesome! More awesome products! Can’t wait for the Framed Friends Die! I can see more dies like this coming our way! I’ve been looking forward to seeing Life’s Music. Can’t wait to purchase this and also Words of Comfort. Boutique Boarders is another one that I’d like to add to my collection. There are always so many to chose from! Beautiful stamps and cards today. i really like Words of Comfort. Beautiful projects today! Love the pretty frame from the new Boutique Borders and how the DT has used it. Nicole, I swear you are a creative genius when it comes to stamping backgrounds! Your backgrounds rival the prettiest patterned paper!! not only do I see many new sets that I want but you used some older sets that I want to check out as well. beautiful projects as always. I look forward to the sympathy sentiments, those are a must have. I love the fried plate! Yay! I can’t wait to see the rest of the music set! Another wonderful month of new selections! You guys do a fabulous job! Thank you. Love all the sentiments in the sets you were showcasing today! Love the new boutique borders. 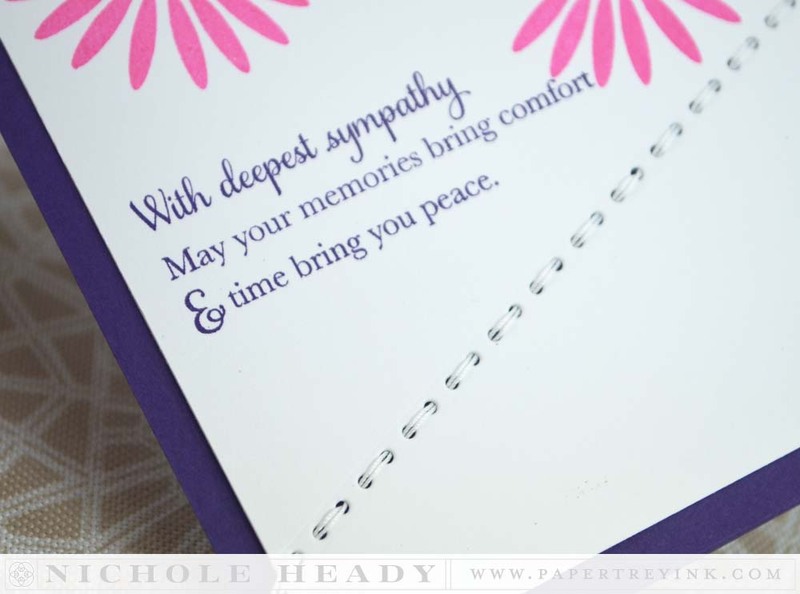 Also the words of comfort set will definitely add that personal touch for sympathy cards. Words of comfort hits the spot with me! Today’s post features so many useful elements and covers so many topics – thank you for the variety this month. Great sneaks today! Words of Comfort is so perfect and of course I have to get the Boutique Birders! I just love this stamp set and the cards that were created from it are so perfect for a set of cards as a gift! I love all the backgrounds you created from previous released stamp sets! Very excited with the new music stamp,set. Musical sets are great to have in your supply – love it! Beautiful cards! Just great new stamps and dies! Dawn does it again! I love her sets! Love it when you pull out older sets and mix it up with the new…Words of comfort is coming home to me. Great cards today – I LOVE seeing you bring out those older stamps and incorporating them with the newer ones! I love all of the color combos today! Love the music notes and the bright colours on today’s cards! The music notes are necessary to my well-being…kidding, but I do have the perfect spot for them in my stash. I love the elegance of the new friends boutique frame and look forward to seeing the entire set of Words of Comfort. I love your design ideas. CAS with the wow factor. I really like the Words of Comfort and (sadly) that they would be used a lot. Looking forward to the full reveal for Words of Comfort. lovin’ the new framed friends die… fabulous projects today!! Always love music motifs. Looking fwd to seeing this whole set! I love the friends die! More one liners please! I’m addicted. These are such beautiful examples today!!! I always need new sympathy expressions. Love Life’s Music …. Can’t wait to use it! Loving birthday style and the Boutique Borders frame! Awesome! I love the beautiful Words of Comfort and think your cards of just lovely. Can’t wait for the rest of the release! I really love the sentiments in the Words of Comfort set. It is a must have. Great samples today. My list keeps growing as I remember about different stamp sets from previous releases. Words of Comfort, Boutique border and your music set are going on my wish list. Words of comfort looks like a staple for my collection! Adore the music set. Love absolutely all new things! And DT works are more than amazing! Words of Comfort is a much needed set in my stamping stash. Thanks PTI. even though no one enjoys having to make sympathy cards, it is nice to have a “go to” set when the need arises. your projects are great, so much inspiration. thanks. Pretty cards and beautiful design! Thank you for the new Words of Comfort. Such a needed set in my inventory to help find the right words to say in difficult times. Beautiful cards, Nichole. Another great release! I love the music notes. My son-in law is a musician so this set is a must have for me. I enjoyed Nichole’s and Lizzie’s posts today, because you both pulled out older sets and incorporated them into new release products. It’s nice to breathe new life into our older stamps and it helps me look at them in a whole new light when the designers use them again. I’m considering buying fruit fusion now because I didn’t really like it when it first came out. That background Nichole made with it is absolutely fabulous! Thank you, Ladies! Always love the examples the DT creates! The new sets look great mixed with older ones! That music stamping has me singing! Framed Friends die is amazing…so fun and so clever! Definitely adding the music set to my wish list!! WOW!! I just love monograms!! I love the way you showed the “E”!! I really need to words of comfort set. I love the new release, so many must haves! Your sympathy card is so clean and beautiful. I love the stitched accents. Love the new stamps and dies today! Words of Comfort is at the top of my list! Great inspiration today! Look forward to the Words of Comfort. I do make lots of sympathy cards and this will be another nice addition to my stamp collection. Such great designs…AGAIN! Love the Words of Comfort set the most, but all the sets are lovely. Love all the new products. Oh, where to start! I like the sympathy sentiments. I am really looking forward to seeing more of the friends frame die. Lovely projects today! Birthday style has been on my list for quite some time! Love how the music stamping in the background add that element where you envision the birthday song! What a clever touch!! Love all the cards you made! Beautiful cards! Love new releases! Great cards!! Love the Friends Framed die!! Love the size and font of the Framed Friends die! Love the simplicity of the balloon birthday card. That’s my style…..bu really like them all. Such fun to play with new things. Boutique borders and music stamp are my favourites. Words of comfort is in my shopping bag too. Those boutique borders look amazing when they are embossed. Thanks for sharing your creativity. Life’s Music …. now that’s music to my ears! Another set of great previews. I’m really liking those music notes! Amazing how you have reinvented so many past sets with this new release! Particularly love how you have done that with the monogram card. Way to go! Beautiful! So much inspiration!! I love the frame and words of comfort is perfect. Words of Comfort is just what I need at this time in my life for those unusual circumstances when the right message is difficult to convey. On the other hand, friends are SO important to me that I love Dawn’s new Boutique Borders and the framed “friends” die. Think I’d also find many uses for Life’s Music, especially after seeing the DT do their magic. Loving that friends frame! Very cool! Words of comfort also looks lovely! Can’t wait for the next two days! I know I can use the Words of Comfort stamp set and the music stamps. Thanks for the chance to win! I like the new sets Words of Comfort and Life’s music. All of today’s projects are wonderful!! Love Lizzie’s new sentiment set….it’s beautiful! Boutique Borders is gorgeous, thanks for the sneak peek. The Words of Comfort set is one that I will definitely be picking up. I also love the new Boutique Borders frame. Such beautiful cards! Love the music notes. Again, another fun release is on it’s way! I would have to say, I love the elegant Boutique Borders: Friends frame with the added cherries element and embossed details of the frame! So fun! More great stamps and dies! I love the new items. Looking forward to using Life’s Music! Great selection of fun goodies today. I love the bright, fresh colors in your samples – so inspiring! I love All the items showcased today…Words of Comfort, Friends both set and new die and Boutique Borders! I love the Friends Boutique Borders! Also the music backgound stamp looks amazing on your last card! LOVE all the ideas you put into the cards..STUNNING! love all the new items! The music stamps will be so much fun. Love the music notes with the distressed look. Beautiful projects! Can’t wait to see the full Words of Comfort stamp and the last boutique border is perfect for my wonderful friends!! Really like the Words of Comfort and the Framed Friend. I love balloons and music notes!!! The friends frame is so elegant. Making sympathy cards is so difficult, I really like the words of comfort. I love the music notes. I am looking forward to the WOrds of Comfort set. I also like how you used older sets with the new ones for your samples! Beautiful stamps with great color ideas!! Oh I love the music notes! Thank you so much for all the great new products! I’ve been meaning to get “A little argyle” for ages. This month I have to have it because that monogram card is brilliant. Wow, another great border, and a music stamp set I am dying to buy! The Words of Comfort set is well written. Love how the backgrounds were made with the floral stamps; makes so many possibilities in our card making. Can’t wait to see the full sets of close to comfort and life’s music!!! Another great boutique borders! Love to send friend cards so this will be great. I like the way you explain the design principles that you use for each card. Thank you for the class! Sadly I need the new Words of Comfort set badly right now. Great inspiring projects as usual! A great release.something for every occasion.love the samples.Until tomorrow………. Love the Boutique Borders… must admit I am looking forward to the “feather” reveal!! I can’t even pick favorites. ..love everything today! Love the Life’s Music and friends frame! Amazing samples, as always, Nicole! I can’t resist wanting every set of stamps and dies you create these gorgeous cards with! Really love the “Life’s Music” stamps and the “Words of Comfort” are so lovely to have for those difficult times. Thank you for incorporating the older sets & bringing them new life…great cards! The music notes are beautiful but what I love is this border… so decorative and elegant!! Wow, love all the new products this month!! I love the music stamp set! It can be used for so many different occasions. I have a lot of family and friends that love music so it’s perfect. I love the Music cards you and Cristina made today. Words of Comfort sounds like it is going to be a great set and I love the friends frame die. I’m sure Words Of Comfort stamp set would be a great addition to my collection. I’m also enjoying the current revival of old floral stamp sets in your projects! It makes me wanna go dig through my pile and pull out some old sets that need love. LOVING the cards in today’s post! Words of Comfort, Life’s Music-can’t wait to get my hands on those!! Your samples today are especially gorgeous. Love the music notes!!! Wow! Beautiful cards…I really do love this time! Lovely cards. Music soothes the soul! Oh just love the boutique borders friends. Great stamp series. Words of Comfort…. Can’t wait to see all the sentiments. 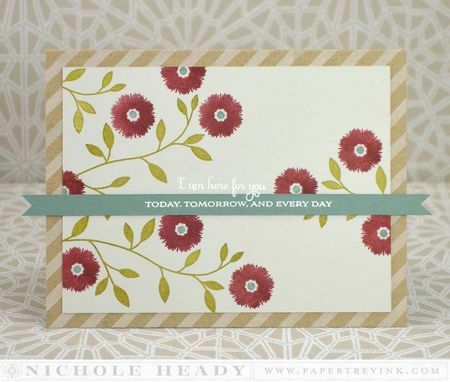 Nichole’s ‘Today, Tomorrow,…’ card is just lovely! Perfect sentiment! Love the music notes and the framing! Great cards! I like the friends boutique frame. Beautifuly done. I wish we didn’t have the need of words of comfort, but we do, is part of life; using these beautiful stamps helps a lot. I love that the words of comfort stamp and the cards you have made with it. Always looking how to make some of these cards. I’m excited about the music notes. I can always use more sympathy stamps! The music notes will be a great addition too! Words of Comfort looks wonderful!!! Oh I LOVE the boutique borders! I also adore the birthday balloons….so fun! Words of Comfort really seams like a must have! The samples are gorgeous as usual! Love the music themed stamps. Can’t wait to see the full release! Love the cards today, and I loved the use of some older sets. 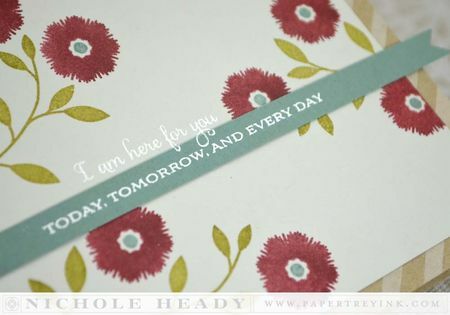 I love that Words of Comfort set – I think every stamper should own it. Thanks for the opportunity. Love the sentiments! 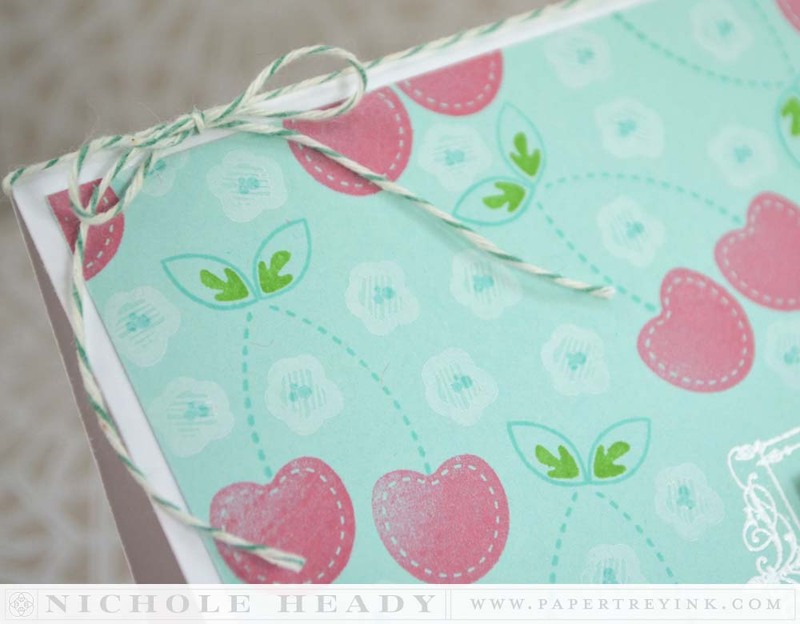 The simply birthday card is perfect to have on hand or in mind for a quick project. Can’t wait for words of comfort, I too need more in this category!! All three of these sets are on my want list. The Words of Comfort will be used often. The BB looks like wrought iron, so pretty. I love the other sets I have. And the Life’s Music will be perfect for all my musical friends. Love the music note themed set. Can’t wait! 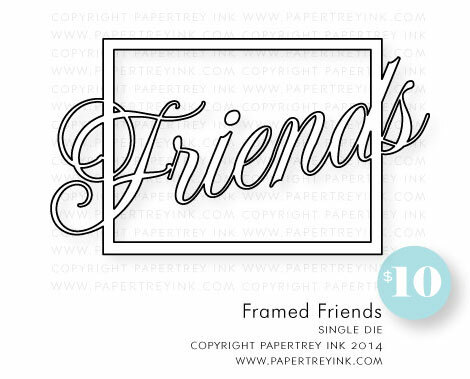 Love Dawn’s Boutique Borders: Friends and the new Friends frame die. The musical notes look fun and it is nice to have the much needed Words of Comfort. I really like the words of comfort. Great samples ! Now I need the Friends, die, too! Never enough stuff for friends! Life’s Music looks to be so very versatile, it can be incorporated into just about any occasion. Got to love stamp sets like this! Words of Comfort is a set that will surely be in just about everyone’s cart. Love your argyle card – those bright colors make me smile! Oh my! I love what I’ve seen of words of comfort. Lovely cards. I absolutely love all things music so today’s Life’s Music certainly fulfills that need. Also love Words of Comfort. Wow! Lots of fun new stuff! LOVE the music notes and the balloons!!! Great samples. The music notes look like a lot of fun. Word of Comfort seems to be a versatile set. I really like the Life’s Music too. Fun cards! Another fabulous release! Such sweet cards using the Words of Comfort. Boutique Borders: Friends is SWEET, really like it with the monogram “E”. Nice! Also like the Framed Friends. Love the style of the Boutique Borders-Friends frame….so beautiful. Love the different ways it was used on the cards. The balloon card is a great quickie idea. The colors are so cheerful too. Loving all of your cards! So many great products this month! Beautiful cards! I love how you made so many of your backgrounds today–just stunning! I am excited for the new Words of comfort. It’s always hard to know what to say. Sets like this make it a lot easier. Really liking the Words of Comfort set. Excited to see the whole set. I just love all of these cards and can’t wait to use some of the new products! So fun!! I love your designs Nichole; you’re one of the best at mixing the new with older sets. A Little Argyle is one of my favorite sets and love seeing it put to use today! All of this month’s new release has me hooked… And I mean ALL OF IT! Fabulous projects! Lots of great ideas! I’m looking forward to the Life’s Music set! I just love music and think it’s such an important element to include in so many different projects! TFS! Love it all! Beautiful projects as always!! Beautiful cards again today!! The argyle monogram is especially fantastic!! Now THESE are stamps I’ve been waiting for! Thanks to all who designed these sets! They are lovely, and hope to get them as I can afford them. Today the Monogram Notecard caught my eye. I’m still looking forward to Comforting Words…my old PTI Sympathy set is worn out. Lovely cards! I can’t wait to see the full reveal! The new releases all look amazing! I love the Words Of Comfort, it is so hard for me to create those kinds of cards. I love the “friends” theme this month, and all of the great products that go with it! Samples you used to showcase these new products are all wonderful! The Just A Note card really grabbed me for some reason – nice work. Love that quick and simple birthday card. LOVING the framed friends dies, so fun, and so many possibilities! I like it a lot! Great job. I love the Boutique Borders Friends frame. So elegant. Thanks for the inspiration pieces! Great cards as usual. My Fave is Erin’s blue card. That is an awesome card. Love all of your ideas. Totally loving the sets! Life’s Music is beautiful and Words of Comfort will be such an enormous help. Thank you! Beautiful projects! I especially love the stitched sympathy card and I think Words of Comfort will be a very useful set. Another great day of introductions! Love the new frame set from Dawn – her frames are so beautiful! The Boutique Borders series is so beautiful. Sad to see it end. AND I love the simple layout and style of your cards! Loved the samples today. Never under estimate the impact of a great, simply made card. WOW, WOW, WOW! ! ! What beautiful cards! And so many diverse styles. . .truly something for everyone! My first thought, color. I love how you always use such a beautiful combination of colors. On the first card, the words just popped off the card. Of course the frame added just the right color too. Oohhh this is really great again love it. Thanks for all the inspiration today, and for the chance to win a gift certificate! Truly a little something for every occasion! Love Dawn’s frames, the music notes and sadly everyone needs to send sympathy cards – more often than we would like. Wow!! Fantastic stamps, dies and projects today!!! Love them ALL!!! Thank you for inspiration!!! All the cards today were simply beautiful! Love the Framed Friends! So cute!! Love the balloon card for a very fast and easy card! Thank you for doing the stamp set Words of Comfort. Loved all your creativity again today! Similar to the Framed Love die that was previously released, I really like the look of the new Framed Friends die. There’s an elegance to these I really like. Lizzie’s Words of Comfort are spot on. I also like the distress look of the notes in Life’s Music. Beautiful projects. So happy to see the Words of Comfort set. Those are always special times that need special cards with special words. Thanks for helping make those cards a little easier to create. 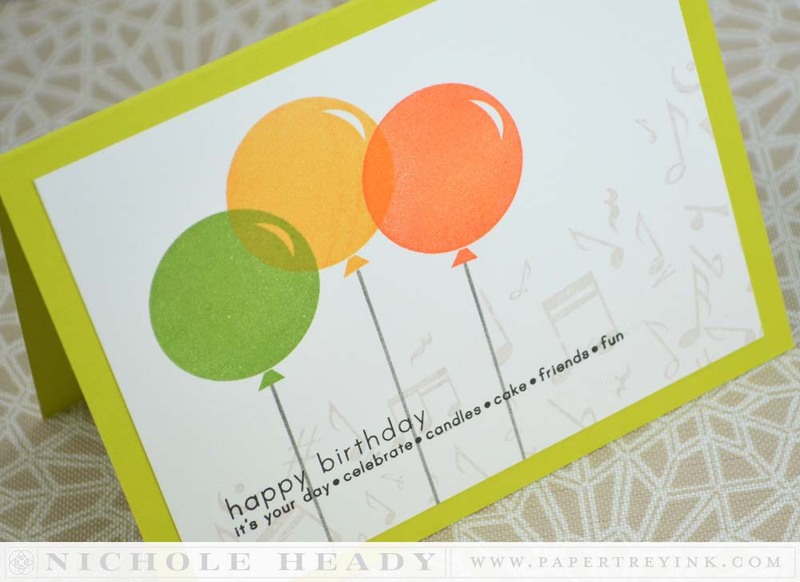 Love that sweet little balloon card-I know lots of people who would be happy to receive a card just like that! TFS!!! Beautiful new sets! The Words of Comfort is definitely a must-have! I am so excited about this release!!!!!!! In love with these projects!!!! Can’t wait to get that Framed Friends die. I love the “Friends” die and stamp set…..and I am looking forward to seeing all of the “Words of Comfort” stamp set. Oh! Love the Friends Frame! Love the Font for words of comfort. Hope to see it used again! Words of Comfort is going to be so useful! I love the look of a Life’s Music too. Love the Friends, so cool! I love every single card today, Nichole! They are just gorgeous! Wonderful cards! Love the Friends frame die cut and the Life’s Music set! Thanks for all the inspiration! Oh, I’ve lost my comment. But I do love the boutique borders friends frame and die are going to be so easy to combine with sentiments. That’s probably my favorite of all the beauties this release! Great cards! Love the Words of Comfort. All of Dawn’s border set/dies have been gorgeous, but I think this on might be the most elegant of the bunch! And who doesn’t need a sympathy set. Every month you release a ton of “must have” products! Looking forward to Life’s Music…I have a SIL who is a music teacher, so making cards for her with this set will be fun! Love the “Friends” frame! Excited for the “Life’s Music” set. Thanks for sharing your creativity! I just love everything you do! Very wonderful sympathy card Nicole! I love the flowers falling down from the top of the card. Beautiful! Thanks for the opportunity to win. Love the Words of Comfort. Can’t wait to order. I’m really looking forward to seeing more of words of comfort and the music themed set. They look amazing! Excited about the new stamp sets. I loved your cards. 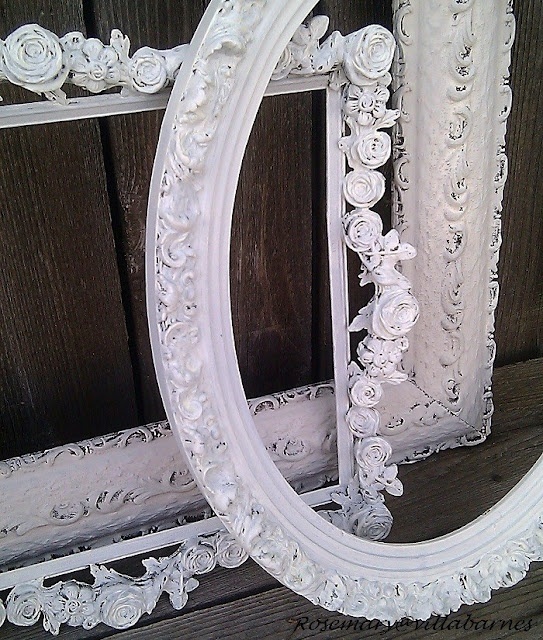 So many nice ideas making it difficult to decide just what I want the most….But I do like the ornate frame and the friends die! Loving the release so far!! Gorgeous! I love that frame! 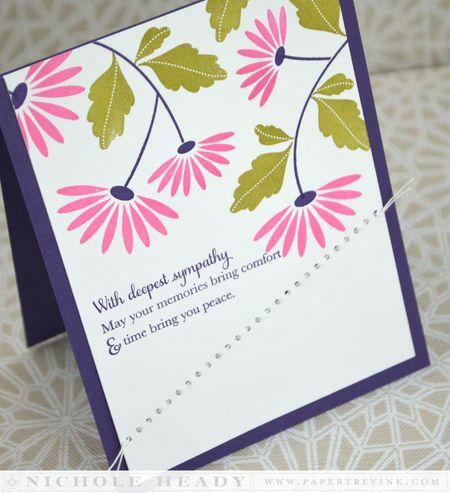 I’m sure most of us would agree that making sympathy cards can be a challenge, especially given the nature of the reason the card is being made. Words of Comfort looks like a great set for these occasions. By the way, I really like the stitching on the sympathy card. It is exactly what the card needed to balance everything yet I don’t think I ever would have thought of doing that. I’ve recently started to learn how to play banjo so I always have “all things music” on the brain. I can’t wait to see the full images of the music stamp set. Yahoo!! Love the use of the new Boutique Borders stamp and die! really nice to see some ‘simple’ stamping feature on cards without a lot of layers and embellishments. The argyle looks fantastic! Once again another day of incredible projects and products. Wonderful. Beautiful cards. I love the frame. What a nice way to ‘fancy up’ some sentiments with the Boutique Borders! Love the new Boutique Borders! Beautiful cards. Love all the new dies…. Another great release day. I really like the Life’s Music and the Words of Comfort are very nicely stated. Great cards ladies! How pretty is that argyle card today? Fun projects! I love how you mixed older sets with the new ones, especially Words of Comfort. I love to see them used in fresh new ways! Fantastic samples! I love the flowers cascading from the top of the Stitched Sympathy card. Two sets really stand out to me ~ Words of Comfort and Life’s Music. I am eager for the full reveal! I love the elegance of the new Boutique Borders: Friends frame. What a great way to end the series! I love the new Framed dies. These have all been must haves. So quick & easy to make a card with. Beautiful projects today! I love your Monogram Notecard Nichole! Dawn’s Sets are always a given! I’m gonna miss the Boutique Borders Series:(. Also lovin on Lizzie’s new Words of Comfort. Definitely will be a good staple to have in the stash! 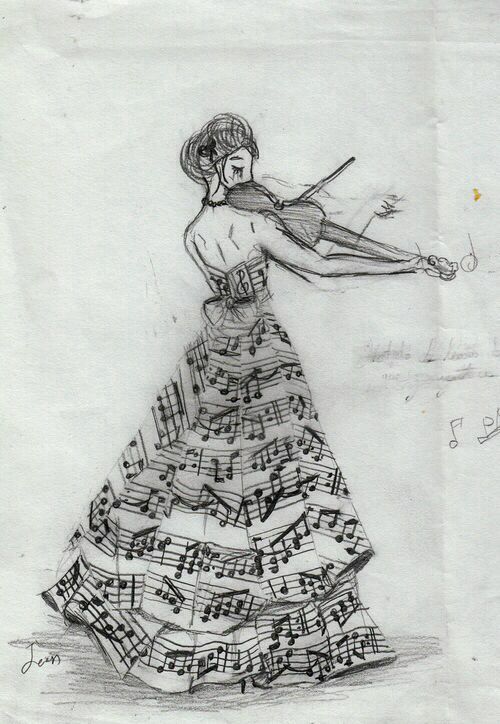 My favorite is the music notes. The samples are beautiful as always. I love how, even when introducing new sets, you still remind us to use our sets we already have like the balloons from Birthday Style! It’s sad to see the end of Boutique Borders but I know there are better things to come. Like Life’s Music. 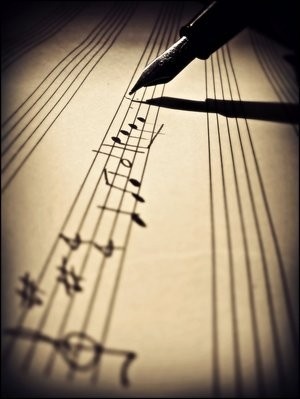 Music Notes…. Simply awesome! So excited for this release!!! I’m always inspired by your amazing DT….your projects are so BEAUTIFUL! You are all so talented! What a great release of new PTI products! I always think that I have enough stamps and dies for any occasion…but each month when your new products are released, I want more! (Lol) Have a wonderful day! Words of Comfort looks like a great set! Love the monogrammed card too! Oh, these look fantastic! Can’t wait to get my hands on them! I love them all. Boutique Borders Friends – so simple, yet amazing! Words of Comfort has defintiely caught my attenion…but so has the Boutique Border frame and Life’s Music…. Love your projects today so much, especially the balloon card and the lovely floral sympathy card. Wonderful new sets! Another great release, love the little frame and the friend die cut the best, but overall love it all – gorgeous DT cards, so much inspiration! I’m always in need of a quick card!!! Loved it! Life’s music and Words of comfort look just awesome. I also look forward to seeing more of the friends frame! Great friends die and words of comfort stamps. I love the Friends Frame. So ornate and beautiful. I absolutely love Life’s Music, and the frames are lovely too. Wonderful projects, as always! I love music, so I’m eager to see all the new stamps! I love that new Boutique Border die and stamp! All the cards are lovely, but the second one is my favourite! I’m am always looking to add a new sentiment set to my collection. Can’t wait to see the whole set. Oh, I love the friends die! I love the Boutique Borders frame, it’s so elegant! Looks like another great release. Looking forward to seeing more Words of Confort. Love the Boutique Borders frame. Very nicely done on all cards. Fabulous! What a gorgeous frame! Love it all! Nichole, your creations for today are all so beautiful. Love each and every one. Love all the backgrounds you created. I like the Friends frame and thought only glittering the word was very clever, Heather. Thanks for the tip. 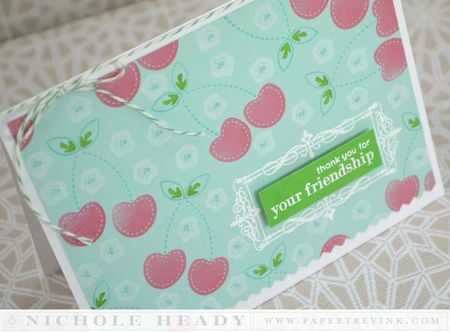 I love the Sweet Friendship card.. I have had the fruit fusion stamps for ages and never thought of using it to create background paper ! Thanks for the light-bulb moment. I Love the Boutique Borders Frame and the Framed Friends!!! Great Job Papertrey Ink!!! The music notes are really great!! You have really out done yourself, Nichole! Everything in this release is over the top fabulous! I think I’m going to need a part time job to get everything I want! More alphabets, Great! One can never have too many alphabet dies! This might be my favorite release ever! I LOVE that monogrammed card! Love the Words of Comfort sentiments. Beautiful cards especially the stitched sympathy and simple balloon birthday cards. I love the birthday balloon card! So cte! Everything is so fantastic! I’m always blown away with each release and all the amazing creations your design team comes up with. Beautiful!! Love the new frame! I love all of the Boutique Border sets and this is a great ending to the series. I all love how you used a large variety of older stamps to make your cards for today. Awesome . I am excited to see the full set for Life’s Music. Very nice use of colors. Really like the diagonal stitching. Never can have too many sympathy sayings. Very excited for the music stamp set and the Words of Comfort. Great projects today. I love the Boutique Borders and the Life’s Music stamps! Can’t wait to see the rest! I love Dawn’s new boutique border. It looks great embossed in white. Gotta love quick and easy cards for that last minute dash out the door. I love the balloon card for that reason…and it’s darn cute too. Love the life’s music set . Makes such great cards. Love the new music stamps! Anxious to see the full set of Boutique Borders: Friends and Words of Comfort. What a fabulous release!! I can’t wait till the 15!! Love the monogram card. How creative!! The Words of Comfort, Will come in Handy. You never know what to say, and this set expresses it in just the right way. I am excited about the Words of Comfort set, as well as the Boutique Borders: Friends set. Can’t wait to see samples of the rest of the release!! I am excited about the Words of Comfort set, as well as Boutique Borders: Friends set! I’m looking forward to seeing the samples from the rest of the Release! Great samples – love the new friends frame die! Love the new products and projects in spring colors. The argyle card is my fav!!!! Great cards as always! Love that framed friends… and that monogram card is just beautiful!! This month is shaping up to be a great PTI month! I love the music set and the Words of Comfort set. Both will be handy to have in my stash! Fantastic new release. Love the quality of PTI stamps and dies. Beautiful work by the designers with these new goodies. I’m always amazed at how you create the backgrounds. I really love the Words of Comfort. Can’t wait to see the complete reveal! Love the boutique borders and life’s music sets. Great ideas! Awesome simple balloon birthday card by the way! The Words of Comfort is gong to be a must! Beautiful cards! Everything is super cute!!! Can’t wait to see the full reveal!!! I’ve loved the Boutique Borders line, will be sad to see it end. And I love the Framed Friends die! love the music notes and the framed friends die!!! OMG! Your cards are amazing! Thanks for the inspiration! Thanks also for the chance to win! I am looking forward to the music stamps!! This will fill a void in my collection! 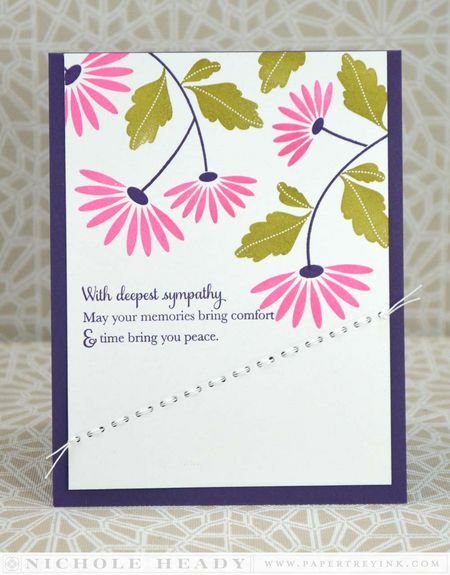 They are never easy, but Words of Comfort will help with sympathy cards, thanks for another thoughtful set. Words of Comfort and Framed Friends are on my order list. Words of Comfort and Life’s Music are definitely on my wish list – must haves, for sure! 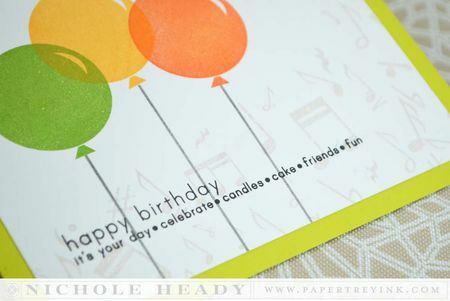 I love your striped card – so bright and cheery, plus it can be easily used for multiple occasions. The words of comfort set is great too. More fun products today, and beautiful DT samples. I love Tiffany’s music set, but I’m a little sad to see Dawn’s Boutique Borders series come to an end. Thanks for the inspiration today! It’s all great fun, more friendship products, yay!!!! I really love that colorful monogrammed card. I can see using it for lots of masculine cards by changing up the cards! Can’t wait to see more of Life’s music. Love Life’s Music. A number of musicians in my family so that is a must have. Can’t wait to see more. Nice medley of card inspiration!! Another month of “must have” stamp sets and dies! Those music notes are balloons are super cute! Words of Comfort will be a welcome addition to my collection. I really like the “I’m here for you” option. Love the Boutique Borders frame! So pretty! I love this release, and the friends boarder the most!! Words of Comfort is a must have. I love the new music themed stamp set. Beautiful cards showcased today. I love all the projects displayed today. Great stuff! Wonderful samples to be inspired by. Wow, you’ve brought the elements all together, reiterating how stamping is so beautiful. Want them all.. Lol.. But again that’s how I feel every release! Love everything I have seen so far. Can’t wait for the full reveal. Love everything I’ve seen so far. Can’t wait for the full reveal. I love that there is such a great variety offered this month! Can’t wait for the full reveal! Really like the Words of Comfort set. Dawn’s latest Boutique Border is wonderful. I love how you used it to make the monogrammed card! As always, beautiful projects presented today. Thanks for all the great inspiration! I can’t wait to see the full reveal! I always love the sentiments sets and this month’s is no exception. The music notes are great! I like the dies also. Great projects! Great new products, I love Dawn’s frame and the Words of Comfort set. Beautiful frames, love the notes and balloons! 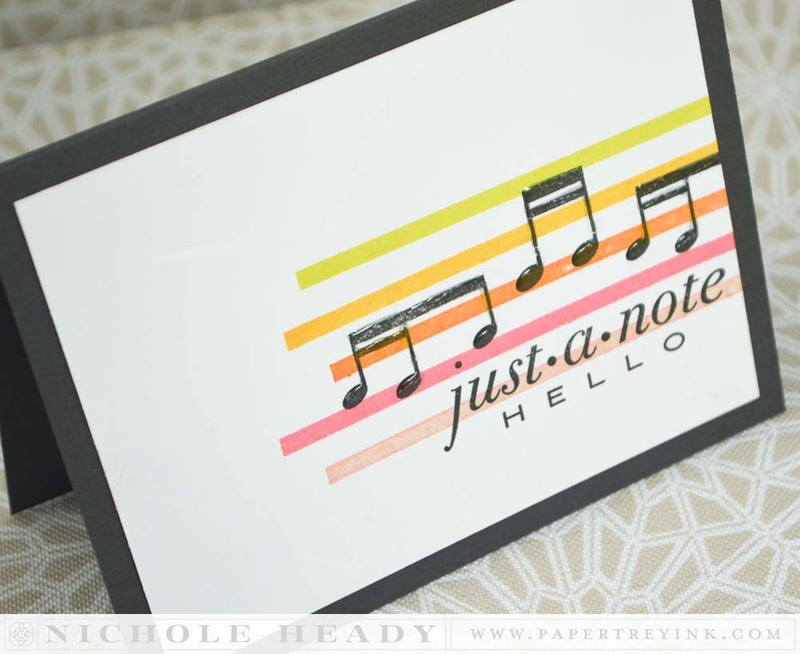 Birthday cards with music notes… Love! Oh my goodness what wonderful samples and inspiration today!! Love the new framed friends!! Just a note is one of my favorite type cards to make so loving the notes and phrase. Can’t wait for the release! I love the new Friends frame die! So cool and so many possibilities! Love those musical notes and the stitch lines are ubber cool. LOVE the music notes 🙂 love it all, actually! Hard to choose a favorite. Looks like some serious decision making is in order. Loving these stamps! I really like the argyle effect and the balloons!! Loving the just a note card and the balloon birthday card. Another great release. Thank you for all the amazing inspiration. I love the Words of Comfort set and the last Boutique Borders set is beautiful. It’s definitely another great release. I’m excited about the Friendship themed release! Glad to see the music notes! Great boutique border too! I’m in need of the Words of Comfort set. So many great inspiration pieces! Thanks for the chance to win. Love the music notes! Beautiful projects today! So excited to see the new framed friends die! Loving the new boutique borders set as well. I love all these new stamp sets. I am so happy to see Words of Comfort being released. I have wanted a set like this for a very long time. thanks for the chance to win! Love that colorful argyle card. So glad Words of Comfort is only $15! What beautiful samples today! Lots of lovely new products to tempt me. Loving the music set, and the framed friends die! Lots of cool stuff again this month! Love Words of Comfort and Life’s Music are just what I need. Love every single stamp! The frame is so fragile and versatile! I really like the Words of Comfort set. I have needed a lot of this type of card lately. I also really like when you use a lot of the older sets. Thanks! Such beautiful cards. I’m looking forward to seeing the set of “words of comfort”. Looks like a great set. Music theme is always one of my favorites. I also like the new frame. It is very pretty. I’m looking forward to these releases. Words of Comfort looks really nice – it’s hard to find great sympathy sentiments. The new release is wonderful and a little different as it’s more everyday stamps instead of holiday stamps. Have to say I love Papertrey stamps no matter what. Itching to get ahold of those notes! I loved the boutique borders stamp a lot..it has many possibilities..from vintage to modern trendy cards ..Music notes stamp is wonderful too ,I loved how you have created bg with this stamps ! I just love the monogram card. So pretty. This last frame in the Boutique Borders series is gorgeous. Dawn did a fabulous job designing this series. I really like the friends frame die and am looking forward to seeing the Life’s Music set. I love that new frame! Everything is so inspiring! I am so happy to see Words of Comfort. I seem to have needed a lot of sympathy cards lately, so this is a set I really need. Thank you! Really like the music set and the new frame is so elegant! Gorgeous cards Nichole! Loving the words of comfort set! Thanks for sharing and the chance to win! Love the frame! And the music note too! I am the most excited about the Friends Frame die – lots of uses for it! My favorite card is the simple balloon birthday card. Perfect for males and females of all ages! Thanks for listening to your customers’ requests! Love the cards, I can see the cards being used in so many different ways. Wow! The Framed Friends die looks fantastic. I can’t wait for the release. so many lovely cards, especially the one with the red flowers. Outstanding! Love the new releases today! The Words of Comfort would be a great addition to my collection and I really like the Gramed Friends. Thank for the chance to win! Beautiful creations. I really love that boutique border frame it is absolutely gorgeous. I like to have a variety of sympathy sentiments on hand, so the words of comfort are a good choice. Life’s music is another favorite today. Thanks! Love, love, love the ballon card. And it uses a set I already own! I love the balloon card! And I’m always needing a quick but good looking card – thanks for the inspiration! Need the Words of Comfort…..
Love them all, especially like the notes,as I teach music..
Just received a call and now have another sympathy card to make. I look forward to additional sympathy sentiments. My niece is also looking for some. Looks like a perfect set will be available in a couple of days. Love the other cards shown today too. I love the Boutique Borders stamp and the Friends die: wonderful!! Wow! What an awesome release! Love them all! Love the music notes, and all of the others in this sneak peak! Great work as always with the card samples! I am always on the lookout for great sentiments. Words of Comfort is a beautiful set. Beautiful cards today…love the music theme.